We are a vetted man and van business in Cranford TW5 that has the ambition and motivation to offer you only high-quality services at affordable prices. We rely on an experienced and skilled team of movers who are capable of working in an effective and a ttentive way, as well as to quickly respond to our clients’ requests. Although our man and van prices are generally low, our amazing personnel in TW5 will help you reduce your removal expenses by providing you with a complimentary instant quote or a custom quote. We are also prepared to view your home before we organize and carry out your removal project, so that we can better evaluable the scope and complexity of the job. Our properly equipped moving vans and trucks will provide you with a trouble-free and safe experience. If you prefer, you can even take advantage of our cheap goods in transit insurance or professional packing services to reduce the chance of any unpleasant surprises during the transportation of your possessions and furniture pieces. The company’s diligent team will organize and manage the entire process, while you sit back and relax. Regardless of whether you are a small-sized business or a big company in Cranford, we can offer you trustworthy and licensed van removal solutions at moderate prices. Our attentive and dedicated movers are qualified to handle and transport specialized equipment and machines, like computers, or documentation and files with confidential information. Our transit vehicles are fully-serviced and modern, guaranteeing you a quick and professional delivery of all kinds of goods. We will also take the time to pack your items in order to prevent damaging or breaking them during the process of transit. 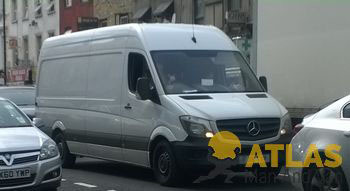 For TW5 clients who are pressed by time, we are able to offer same-day man and van solutions that are moderately priced and incredibly efficient. Take advantage of our price matching service and you may save even more. Cranford is situated in the London Borough of Hounslow. Although it is in close proximity of the London Heathrow Airport, the number of flights that pass over the area has been recently limited. Cranford borders with Hayes to the north, Hounslow and Hounslow West to the south. 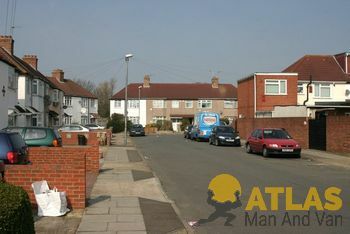 Most of the houses in this area are either semi-detached or terraced. The tube stations of Hounslow West and Hatton Cross are located very close to Cranford.